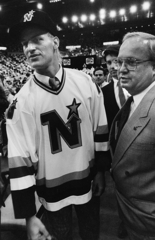 Doug Zmolek recalls the 1989 NHL Draft and laughs. A big, strong, skilled defenseman who capped an outstanding career at Rochester John Marshall with an oh-so-close run at the state title as a senior, Zmolek knew NHL teams were interested. But just how interested? He wasn’t so sure. “My parents were debating if we were even going to go to the draft, and it was at the Met Center (in Bloomington),” Zmolek said. “I look back at it and giggle. First round? We didn’t have any inkling that I was even going to be drafted. It didn’t take long for the Zmoleks to get their answer. 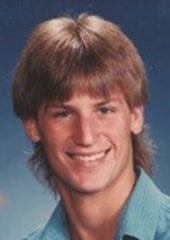 Zmolek was selected by the Minnesota North Stars with the seventh overall selection. It was a surreal moment for the Zmoleks -- and all of Minnesota hockey for that matter. 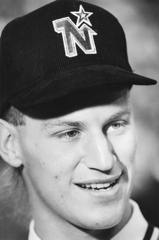 The only Minnesota high school player taken higher in the draft was South St. Paul’s Phil Housley, who went with the sixth overall pick to Buffalo in 1982. A four-year varsity regular for the Rockets who was a Mr. Hockey finalist in 1989, Zmolek was a 6-foot-2, 200-pound plus combination of brute-force sledgehammer and precision-cut Exacto knife. Along with his countless pancake body checks, Zmolek scored a combined 94 points during his junior and senior seasons. 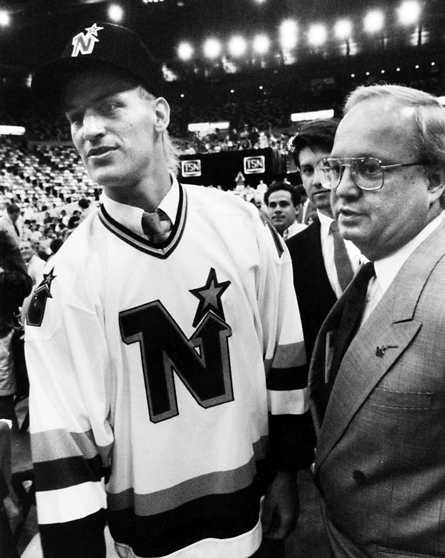 “I remember talking after the draft to (former Minnesota North Stars scout and director of player personnel Chuck Grillo),” said Steve Webb, who covered hockey for the Rochester Post-Bulletin at the time. “He was telling me that the reason Zmolek went so high in the draft was because he was really good at making that first pass out of his own zone. Zmolek said his best high school memory came as a junior in 1988, when the Rockets erased years of playoff frustration by beating Apple Valley 2-1 in the Region 1 championship game. The victory ended an eight-year state tournament drought for John Marshall. John Marshall, a team loaded with seniors, made an early exit at the state tournament, losing 4-3 to Hill-Murray in the quarterfinals and 5-2 to Grand Rapids in the consolation round. The next season, with Zmolek and longtime friend and defense partner Eric Means among the few Rockets standouts remaining in the lineup, John Marshall made a surprising return appearance at the state tournament. Rochester John Marshall’s unlikely postseason run continued with state tournament victories over Edina and Duluth Denfeld. In the championship game against Bloomington Jefferson, Zmolek scored twice in the second period to give the Rockets a 2-1 lead. 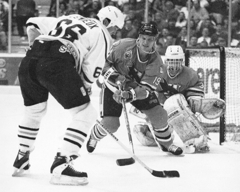 “That game kind of signified Doug through high school and in college,” Means said about Zmolek, who went on to a stellar career at the University of Minnesota. “The bigger the game was, the better he played. Jefferson eventually won 5-4, leaving Zmolek with one nagging, unanswered question.